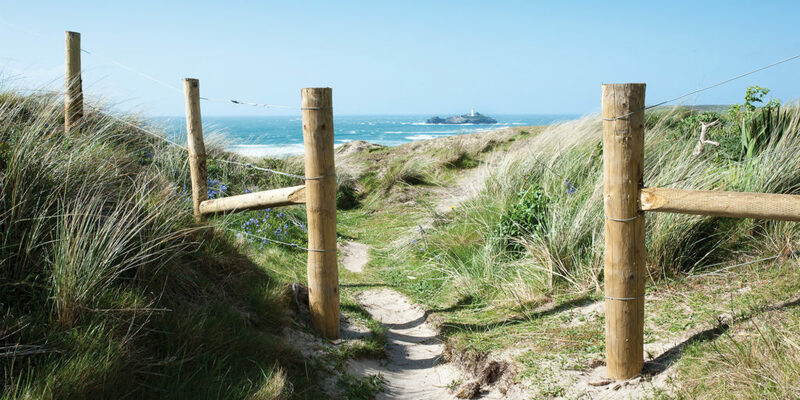 We get back to nature with an exploration of some of Cornwall’s finest camping and glamping sites. 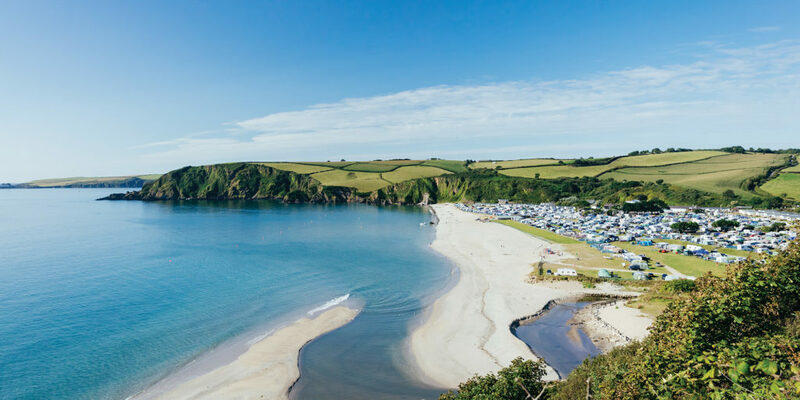 There are few better ways to make the most of a Cornish holiday than spending it under canvas or in a luxury caravan or glamping pod. 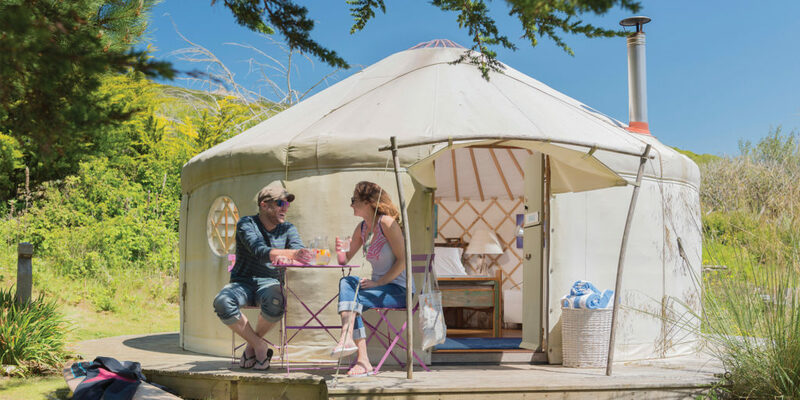 Cornwall has a stunning array of camping and glamping sites to choose from whether you are looking to bring your own tent, motorhome or caravan or want to take advantage of the wonderful array of pre-pitched yurts, tipis or luxury chalets. Locations are second to none and offer everything from sites right on the coast to those set in wooded wonderlands. 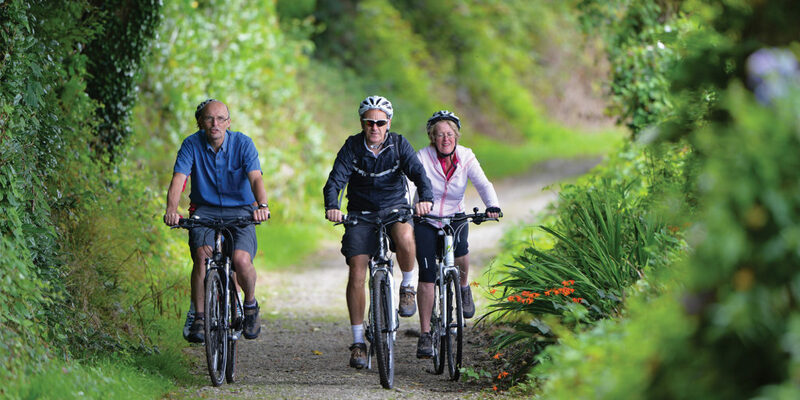 Camping is a great choice when it comes to holidaying with family or friends as everyone can enjoy their own individual living space while being able to socialise in open communal spaces – connecting with nature doesn’t get better than this! We begin with Bodrugn Barton, a gorgeous site situated between Gorran Haven and Mevagissey on the Roseland Heritage Coast. 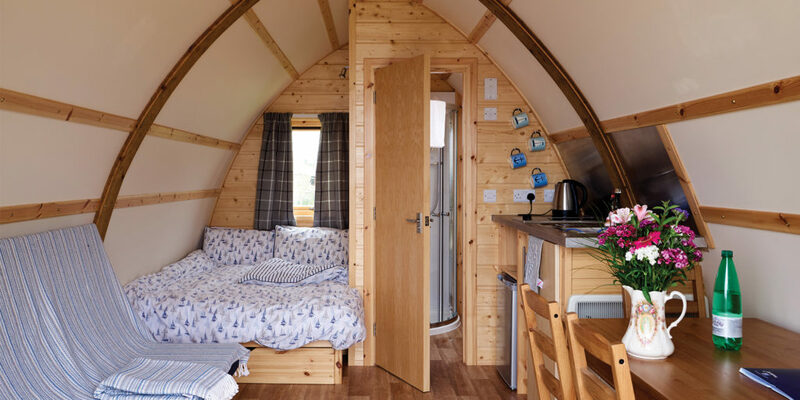 Set in two lush paddocks, the six Wigwam® cabins are surrounded by a grove of hazels and a pretty orchard. The glamping site is set on owners Sally and Tim’s working farm, which includes a flock of sheep and a small herd of Dexter cattle. 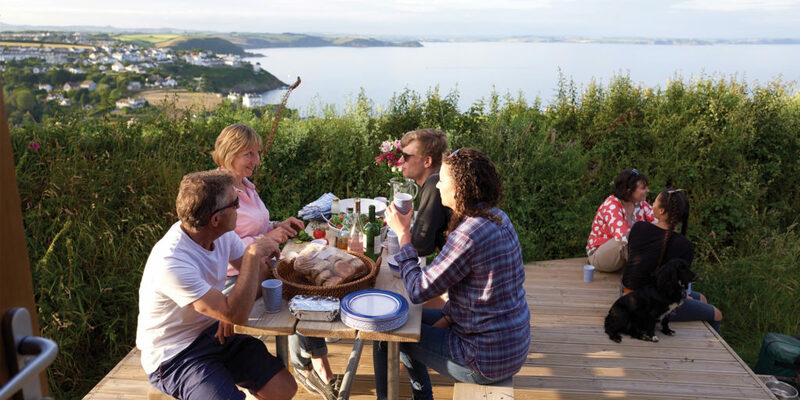 The cabins nestle in this Cornish idyll as if they have always been there, with stunning ocean views and we love the fire pits around which you can gather at the end a day’s exploration. The site is car-free, so ideal for children who can roam the paddocks to their heart’s content. And fear not, on rainy days guests are welcome to use the heated indoor pool and sauna. Turn to page 101 to find out more about staying at Bodrugan Barton. 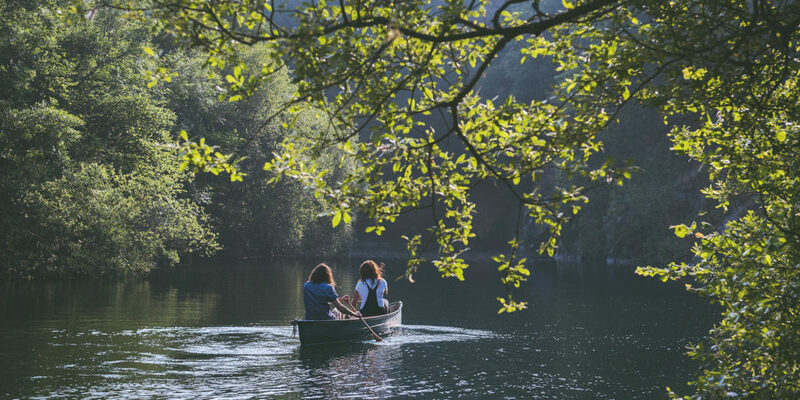 Staying on Cornwall’s south coast, a woodland holiday at Forest Holidays’ Deerpark offers a rural retreat, set deep in a woodland valley beside an ancient millpond. 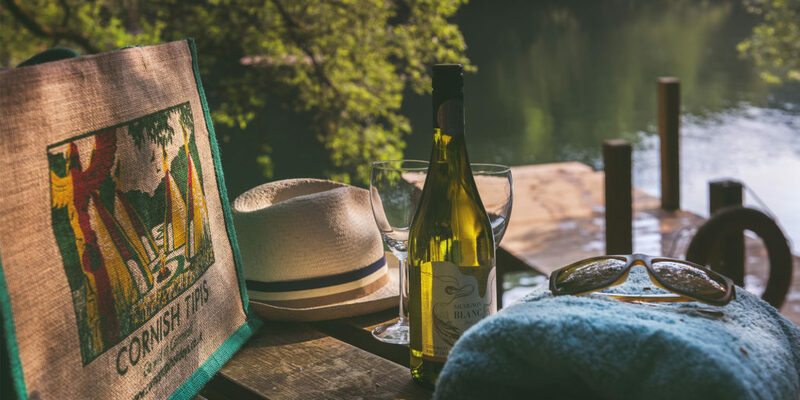 The cabins are set back into the trees, some literally perched over the millpond, with woodburners and hot tubs to warm the soul if the nights are chilly. 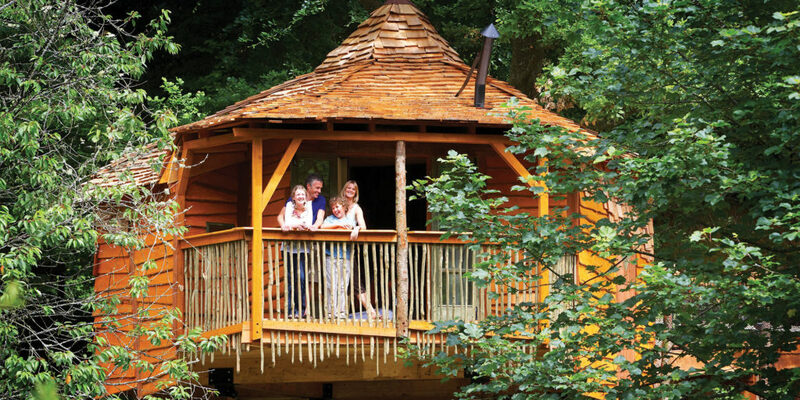 For a truly special stay, the Deerpark’s magical Golden Oak Treehouse is like something from your favourite fairy tale childhood daydream, but with a whole new level of luxury. This wooded hideaway benefits from all of the same facilities and mod-cons as the cabins – the Treehouse is one of a kind so early booking is essential! The on-site Forest Hub has a grocery store and an eatery where you can eat in or have a freshly cooked meal delivered to your cabin. 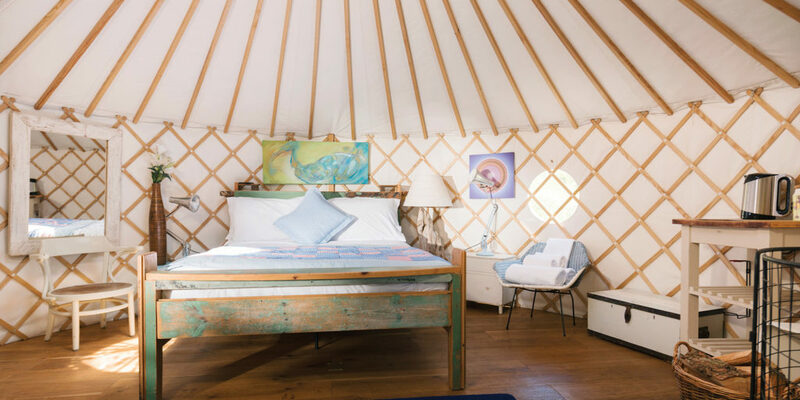 For a night under canvas, further up the north Cornish coast you’ll find the glorious, secluded yurt village at The Park, Cornwall. 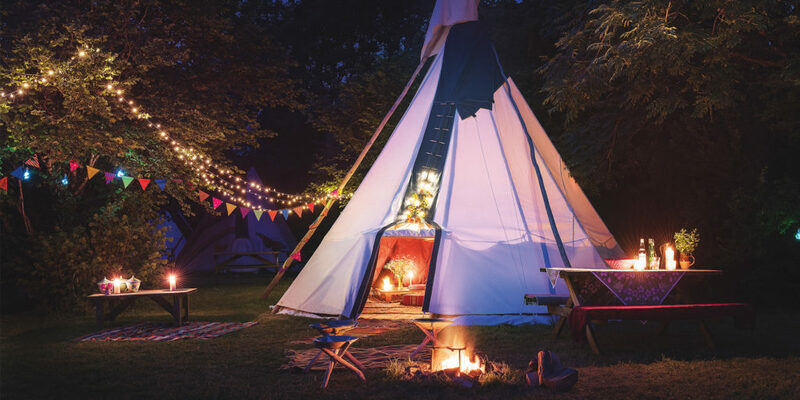 This unique glamping experience is just magical. With just four accommodation yurts set around a communal chill-out yurt this site feels really special. It really does have a ‘village’ feel and would be great when booked with a group of friends or extended family. There is a wonderful hut tub, fire pit and clay oven allowing for evening feasting or a sundowner while you soak. Communal bathroom facilities are housed in two Shepherd’s Huts and there is also a brilliant country-style cookhouse with full kitchen facilities, so you can cook up a storm even if it’s stormy outside! 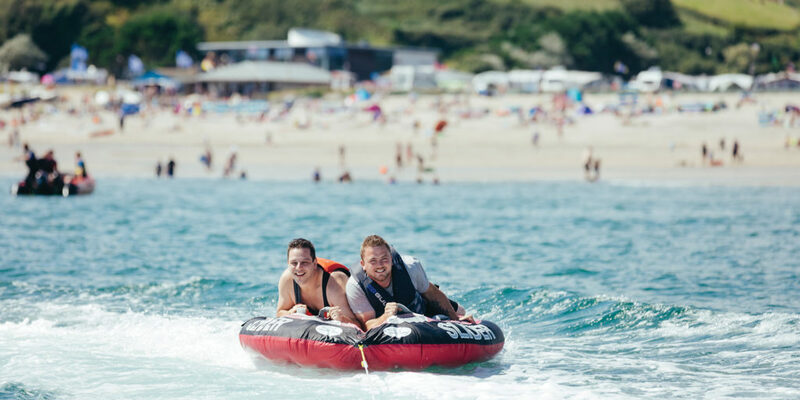 For a five star, family-friendly camping holiday, Pentewan Sands, near St Austell, has everything you could want for a beach break. The site is literally on the beach, and it’s a private one at that, with safe bathing waters and endless golden sand, perfect for castle building. 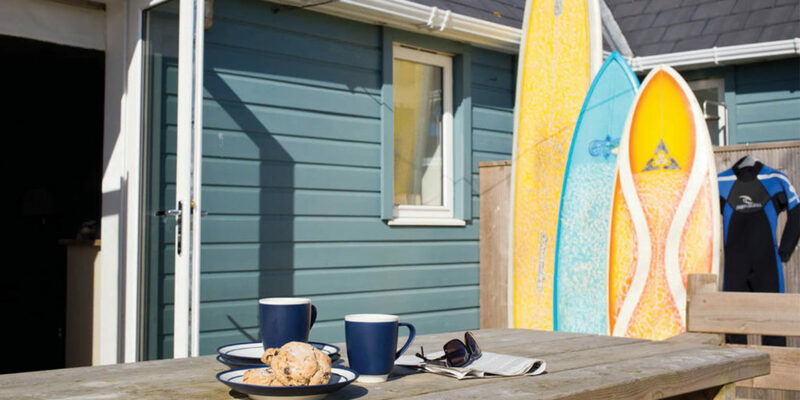 You can opt for one of the site’s static caravan holiday homes, equipped with everything you could want for a ‘home away from home’. 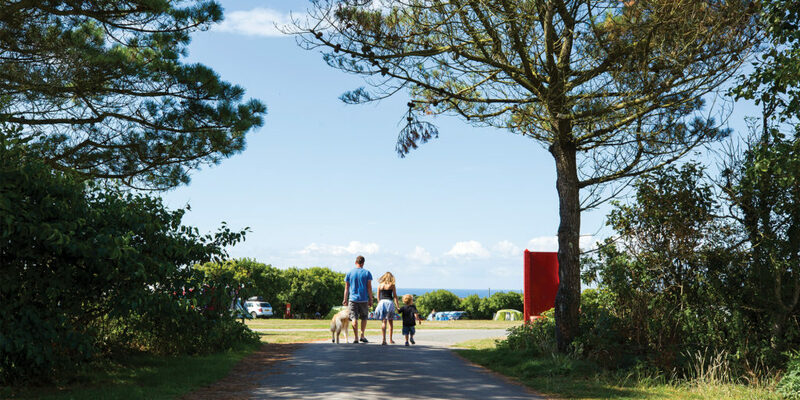 Alternatively, if you have your own motorhome, caravan or tent then you can set up on one of the spacious, well-kept pitches, most which have electric hook-up, and create your own little camping haven. You certainly won’t be lost for something to do here, come rain or shine. 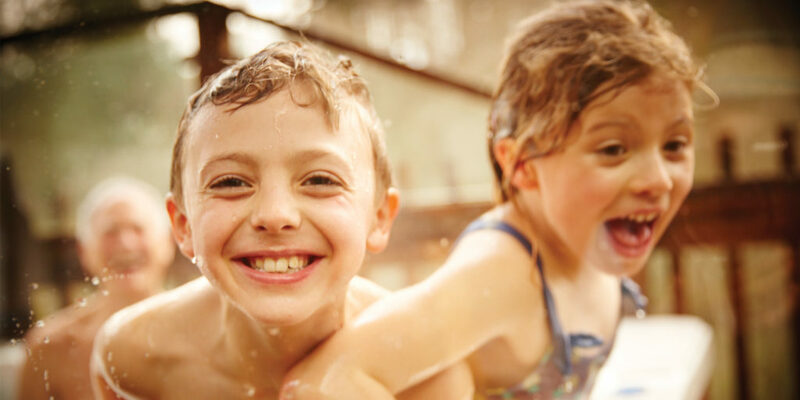 The site has two indoor swimming pools – a traditional lap pool, as well as a fun pool with a water flume. There’s also a soft play area and amusement arcade for plenty of family fun as well as evening entertainment. 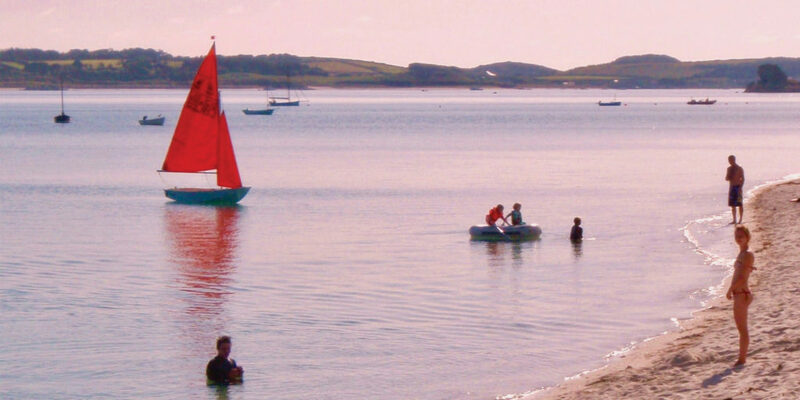 And if you don’t fancy cooking, then you have not one, but three options onsite, the Seahorse Café Bar, the traditional Hideaway pub and The Hubbox, Cornwall’s go-to restaurant for the burger aficionado. 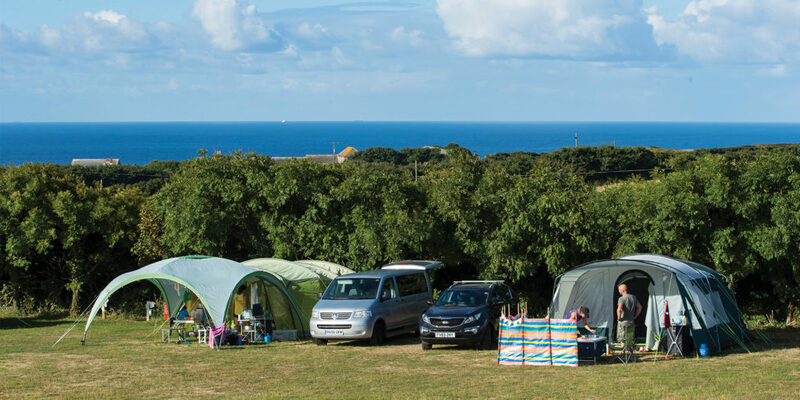 The campsite on St. Martin’s on the Isles of Scilly has been welcoming campers since the mid sixties. 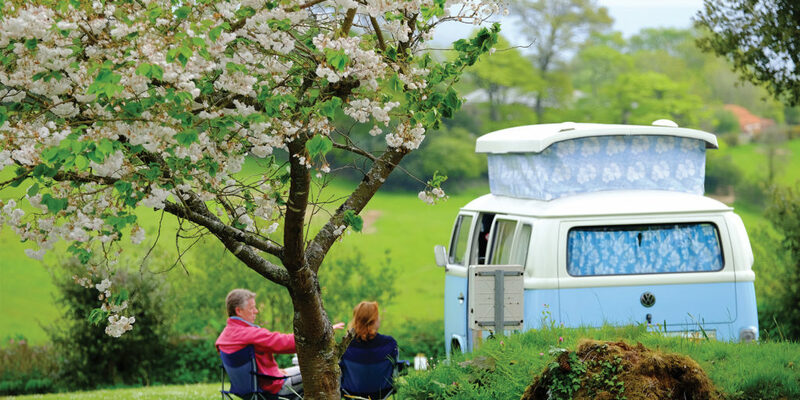 Once you visit, it’s hard to stay away and so many campers return year after year for their ‘Scilly fix’. 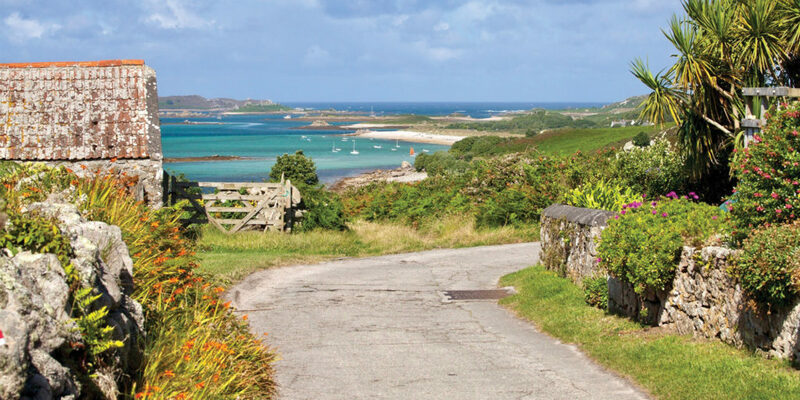 You’ve not experienced camping until you’ve done it the ‘Scilly’ way – all your kit has to be taken over with you either by boat or plane on the Scillonian or Skybus (www.islesofscilly-travel.co.uk), which really focuses the mind when it comes to what’s essential. It’s then taken to St Martin’s by an off-island launch and everyone works together to unload the boat when it arrives at St Martin’s quay before the short trip to paradise. The 50 pitches are sheltered by pittosporum hedges, offering shade from the sun and shelter from the wind. You’ll find award-winning washroom facilities here, as well as a launderette, free Wi-Fi and free charging point. You can pre-order hot morning croissants and evening baked potatoes and there is a small honesty shop for most camping needs; gas, pegs, charcoal, barbeques, freshly picked vegetables, milk and free range eggs, Campsite Honey and home made Tangy Marmalade. The nearby Seven Stones Inn, which has recently benefited from the addition of a new function area (read more here) welcomes campers for drinks, lunch and dinner. And just 33 steps from the campsite will take you to the nearest beach! "connecting with nature doesn’t get better than this"